PLAYERS WISHING TO COMPETE IN THIS EVENT MUST FORWARD THE NIPA £180 (entry fee and 2 nights accommodation) by 30th SEPTEMBER 2014. If we get more entries in a category than we are allocated then we will hold a play off with losers receiving a full £180 refund. Events will have 64 players for the Seniors, 32 for the Masters and 32 for the Ladies. Each place will cost £100. Prize fund for the Seniors will be £6800 based on 64 entries. Prize fund for Masters will be £3400 based on 32 entries. Prize fund for Ladies will be £3400 based on 32 entries. 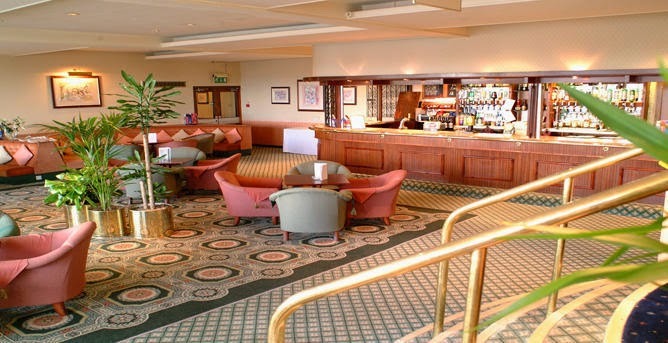 All events will start on the Friday and players will have to stay two nights at a cost of £40 per night. All sections, just like the main UK Open will be Double Elimination with a race to 8 in the winners section and 5 in the losers section. 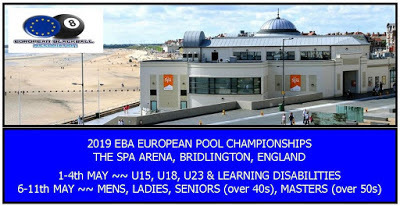 The Double Elimination will go down to the 8 winners to be joined by 8 losers in the Seniors event, this is where the prize money will start with the last 16 getting £150 last 8 getting £300 semi £600 runner up £1100 and winner £2100. The other two events will be the same, with the Double Elimination going down to 4 from the winners section being joined by 4 from the losers section, again this is where the prize fund will start with the quarters getting £150, semis £300, runner up £700 and winner £1500. Players can only enter one event.